Today it's Friday, the best day of the week for most of us, the freedom of the week end. One of my favorite food is pizza, I love it, I can eat pizza every day, but I keep it for the end of the work week, "Friday night pizza" washed down with a glass of full body red wine. 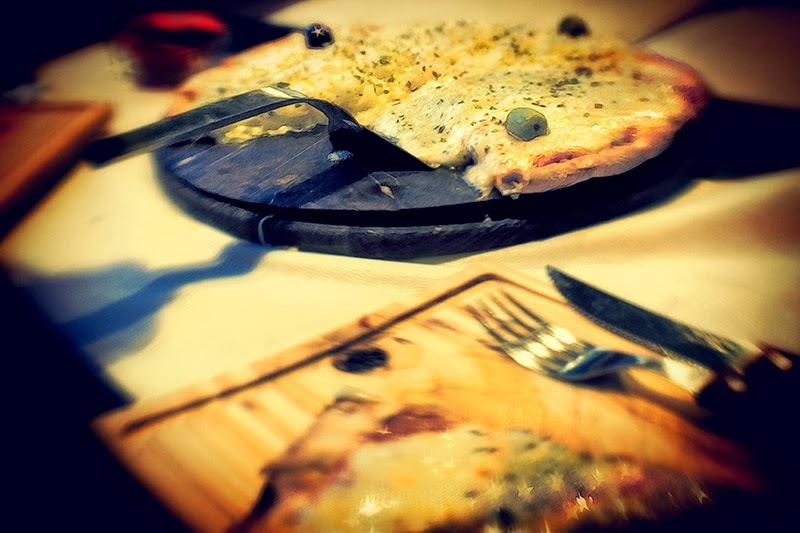 I got the chance to try a cheese pizza in Buenos Aires in Palermo neighborhood, it was just amazing, so simple and in the same time so tasty, the fresh herb, olive oil, the warm weather, the South America feeling, what a great meal. Later visiting the of City of Mendoza located in the wine country of Argentina sitting on the side of the Andes, a great place to visit, great people, great scenery, incredible wine selection, great food, and their pizza so yummy, "it's one of the reason I want to move there" anyway the best one that I tried was made with cheese, tomato and artichoke hearts. 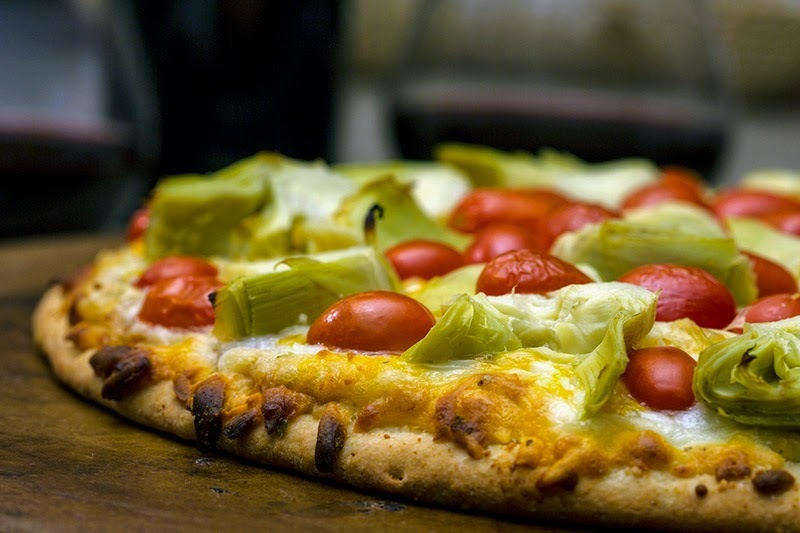 Back in winter land, Alberta Canada, missing my South America pizza, especially the Mendoza artichoke one I had to act. To do so I bought a store already made cheese pizza, a Safeway Select, bought 2 cans of artichoke hearts cut them in half, added cherry tomatoes, garlic, fresh ground pepper, in the oven following Safeway cooking instructions. The result, a lot better than anticipated, it became one of my favorite Friday night meal. The shot of the first pizza was done with a Lensbaby double glass optic, f4 ring, I had to increase my ISO to 640, at 1/10 sec, Lensbaby double glass optic at f4 is very good for low light condition.